Learn how to create your very own ric-rac using premade ribbons in a matter of minutes. I so excited when I figured out how to do this. I hope have some fun with it too! Step 1 - Getting started. Start by opening Photoshop Elements and going to Edit Mode. Go to Open on the Main Menu Bar, select Open (Ctrl + O) and click on the ribbon you plan to use. For this tutorial I will be using the Satin Maroon Ribbon from our Digital Basics Kit. Step 2 - Rotating your ribbon. You will now want to rotate your ribbon 90 degrees to the right. To do this go to Image > Rotate > 90 Right. Step 3 - Change the canvas size. 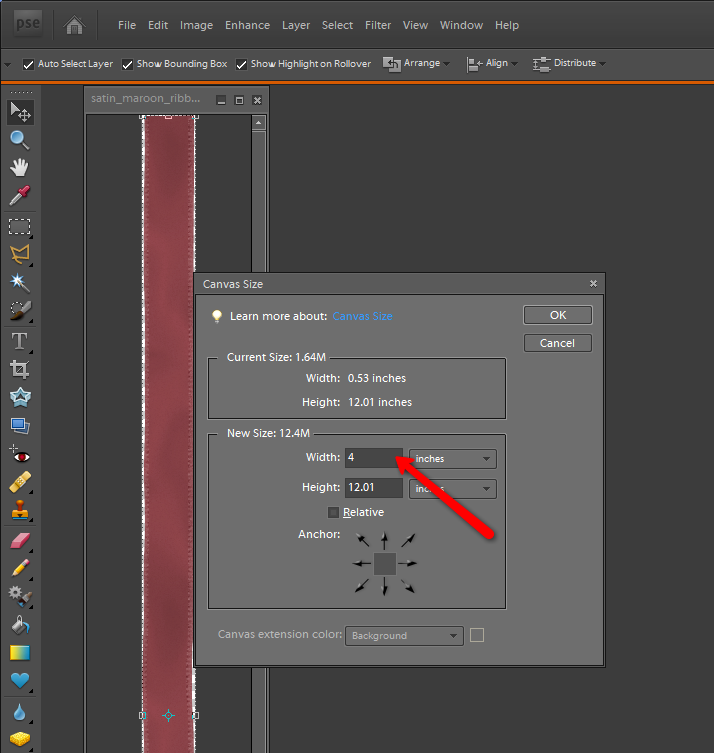 You will now need to change your canvas size to about 4 in. 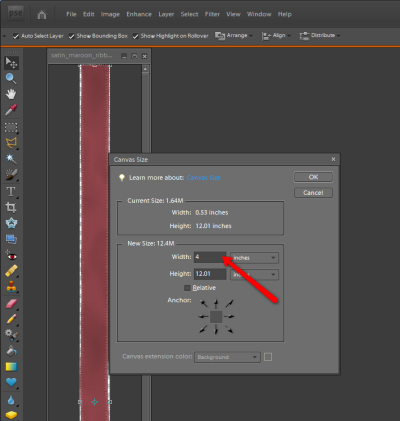 To do this go to Image > Resize > Canvas Size... Set the Width to 4 and click OK. 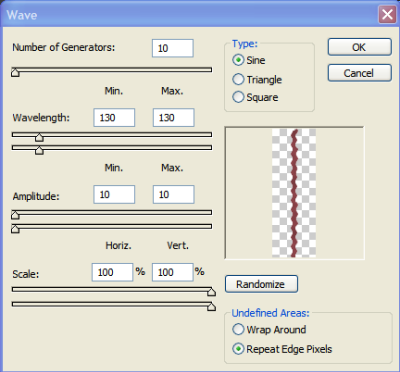 Step 4 - Adding a wave. In this step we will add a wave to your ribbon. 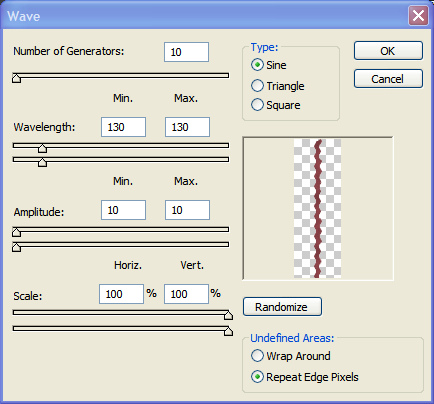 To do this go to Filter > Distort > Wave. You can play with setting to affect how your ric-rac will look. Below are the numbers I used - these will vary based on the size of ribbon you start with. Step 5 - Almost done! Copyright ? 2010 FreeDigitalScrapbooking.com, All Rights Reserved..